This is one of those "no duh" entries. 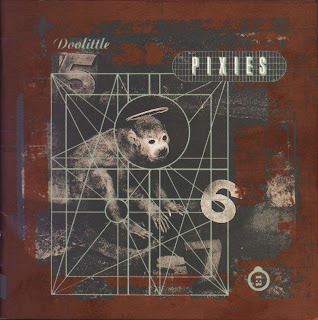 DOOLITTLE routinely shows up on every "Best Album Ever Made" list and it would be hard, nay, impossible to argue that it's not a pretty much perfect record. But why is it so awesome? Is it because almost twenty years later, it hasn't aged a day? Is it because it's lyrical themes resonate in dark, unconscious, Jungian places? Is it because it's fun to sing along to? It's hard to describe the effect that this album had on me the first time I heard it. It was rock music in the purest possible sense; loud, silly, invigorating, and something that spoke to me in a way no other music had. The lyrics were bizarre and evocative in a way that reached right into my adolescent nerd heart. If you travel backwards now, in the machine that takes us to 1992, you would find me at sixteen, driving a wee hatchback and cranking MINOR THREAT and the like in his cassette deck. What you see here is a kid who is finding some solace in the angry punk rock sounds of bands that broke up some ten years prior, but not really finding any deep-seated, soulful satisfaction. These bands are speaking to his frustration with the world, but not to anything else. This is a kid who is reading Robert Anton Wilson and discovering the myriad worlds of Ray Harryhausen and Moebius. This is a kid who doesn't mind a little silliness in his music. Then we pop in a new tape. This is a band we've heard before, in the background at parties and at friend's houses, and we liked what we heard, but we never really payed that much attention. So we pop in the tape, and all by ourselves, sealed up in that little car, driving down the highway, we hear the first loud, shrill, wild-hair chords of DEBASER. Someone is screaming at us in spanish. 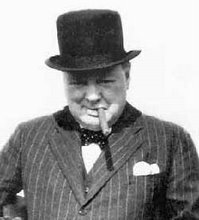 There is talk of mutilation. More songs and more grisly, biblical death, with some nonsense here and there to keep it light . Guitars are howling and drums are thumping hard in the distance like headhunters at midnight. Haunting harmonies sing about death and God and elusive folk named Crackity Jones. Weirdness is in the air, and this music was made entirely for you. 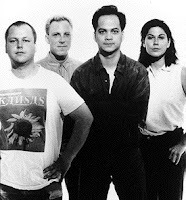 The Pixies took the angry center of punk, laid on the melodies and the pop-love of the Beatles, and then wrapped it up in a surrealist tortilla. This was the rock music I had been looking for since the first hint of puberty. Some will argue that the Pixies were better before or after. (Mostly before.) Yes, SURFER ROSA is a great album, and indeed, the later albums were plenty excellent. But the deep, resonating thud you hear again and again in DOOLITTLE is more than drums. It's the wood-to-leather crack of a perfect pitch being knocked out of the proverbial park.